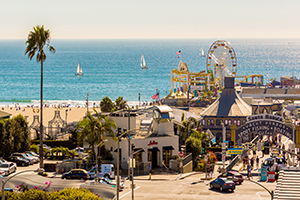 The iconic, century-old Santa Monica Pier, perched on the edge of the Pacific Ocean, is an essential first stop for visitors of any age. Take a spin on the solar-powered Ferris wheel and ride the historic carousel, then try something daring at the trapeze school. 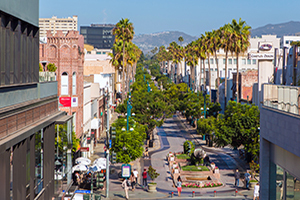 Afterward, marvel at underwater life at the Santa Monica Pier Aquarium and recharge with a bite to eat at one of the pier’s many eateries, from mouthwatering American fare at Pier Burger to sweet treats at the classic soda fountain Soda Jerks. yoga class or simply soaking up the sun on the deck. 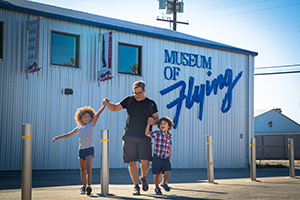 Nurture your little ones’ flight ambitions with a visit to this hidden gem museum close to Santa Monica Airport. At the Museum of Flying, parents can discover the history of the airport and explore artifacts related to the Douglas Aircraft Company while younger visitors pitch, roll and thrill on the Maxflight full-motion simulator. Afterward, check out the planes on display, then watch a short film about the history of flight in the screening room. Downtown Santa Monica Farmers Market. 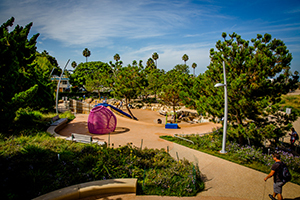 Round out a fun-packed day with a visit to the six-acre urban oasis that is Tongva Park. Kids can run through the splash pad, tackle the climbing structures and slip down the slides while adults admire the plant-filled gardens and take a well-earned breather on a park bench. 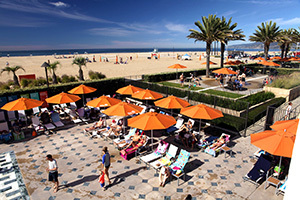 Everyone is sure to feel a sense of serenity here at this park just steps from the beach and Santa Monica Pier.